Welcome to one of Santa Fe's most romantic getaways - the Four Seasons Resort Rancho Encantado. 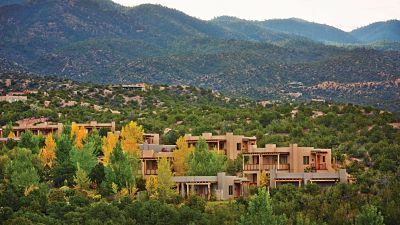 Conveniently located just 10 minutes from the fine museums, galleries and boutiques of Santa Fe, it makes an excellent destination for a New Mexico babymoon. The luxurious guest rooms have a contemporary Southwest flavor, each including an indoor fireplace and private patio or terrace with spectacular views.